Walk to The Beach Plus a Separate Guest House! 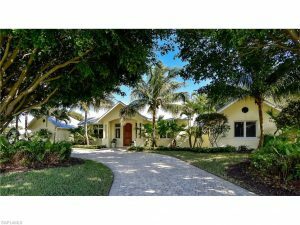 Come see why we believe this lushly landscaped retreat is one of the finest residences in the charming beachside community of Coquina Sands. Perfectly situated on .6 acres, this captivating home features an expansive 40′ pool, over-sized patio and entertaining area, beautiful gardens as well as a private 1 bedroom guesthouse. The home boasts 3 spacious bedrooms, a gourmet cook’s dream kitchen, 18′ soaring ceilings and wonderful wall space for all your art. Best of all, this contemporary masterpiece is just a short stroll to the sugar sand beaches at Lowdermilk Park and just minutes to all the downtown Naples fine shoppes and restaurants. Offered at $3,850,000. 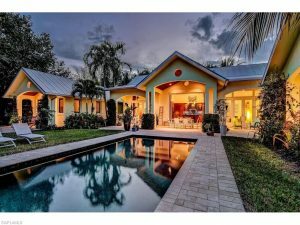 call today to see why this is one of Naples best luxury homes for the price and location! Thank you, and make it a great day! Accessibility | © Copyright Naples Real Estate. All rights reserved. | Site design & programming by Exploritech, Inc.